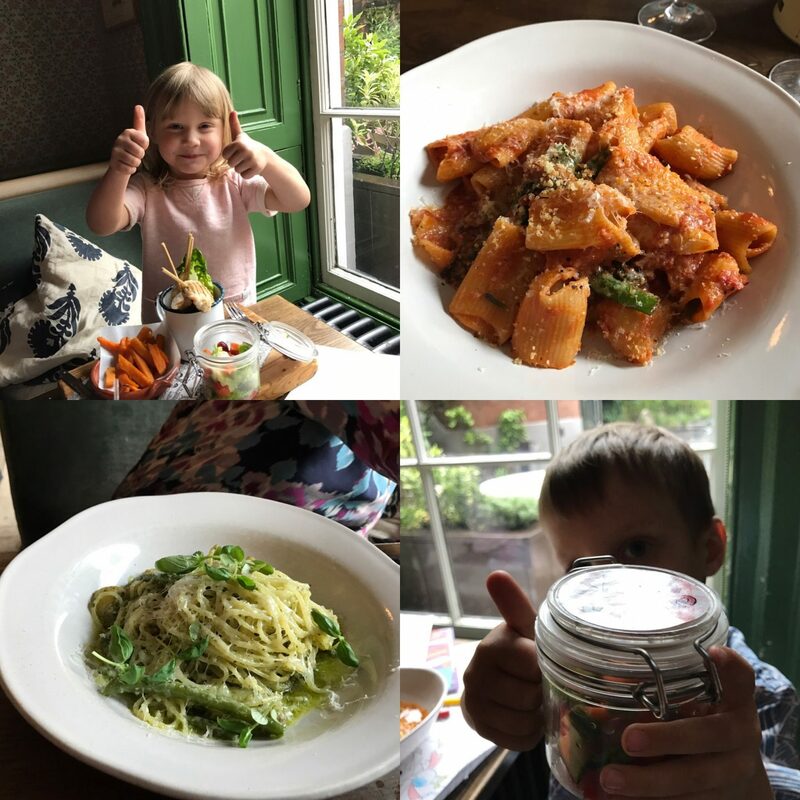 We were delighted to be asked to sample the Super Lunch menu at our local Jamie’s Italian, which is in Nottingham. I’ve actually visited before, but have never taken the kids, so thought it would be a great opportunity to see just how family friendly it is. 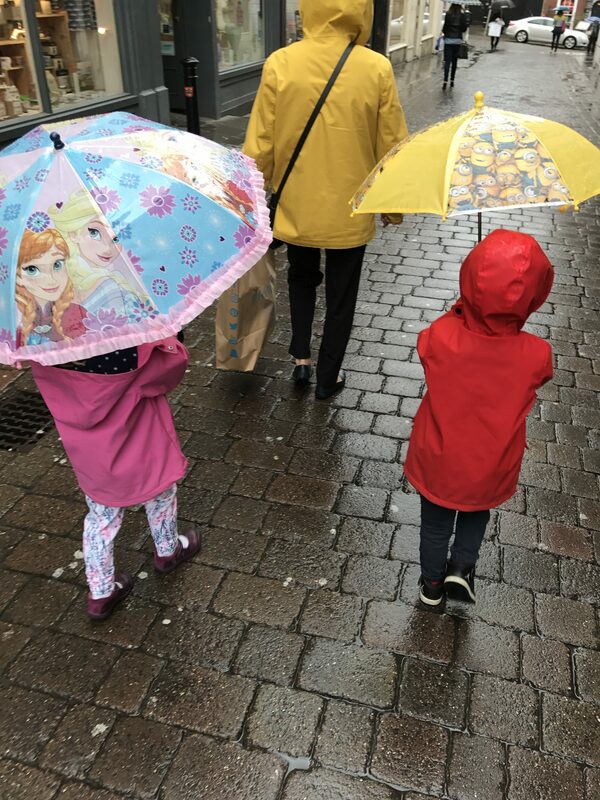 The day we were booked in was particularly dull, dreary and wet, so it was great timing – a lovely little treat to perk us up! We arrived about 5 mins before our 12-noon reservation and were ushered out of the rain, even though they weren’t officially open. 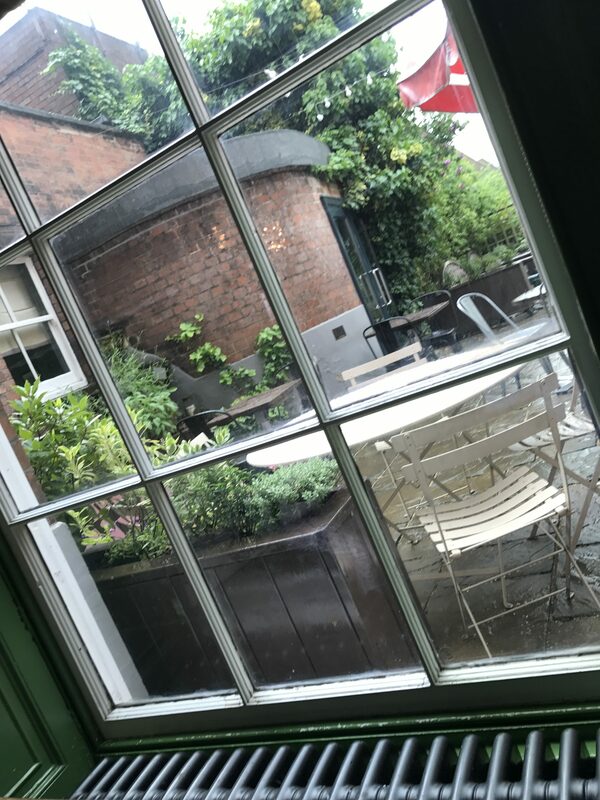 We were seated on a nice table downstairs, by the window, which had a nice little view (despite the weather) and were given menus. 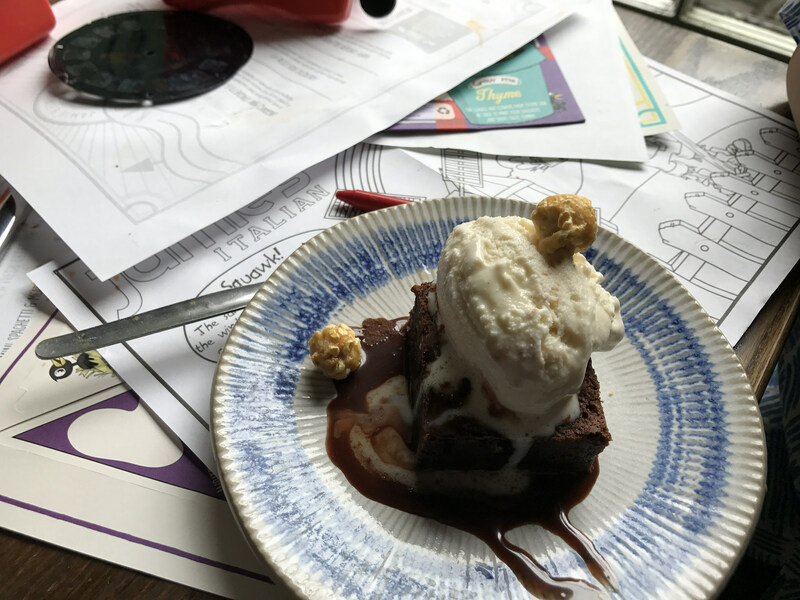 The twins were given goody bags, which contained colouring activities, along with a cool retro viewfinder, which they could use to view the kids’ menu. They were definitely impressed. 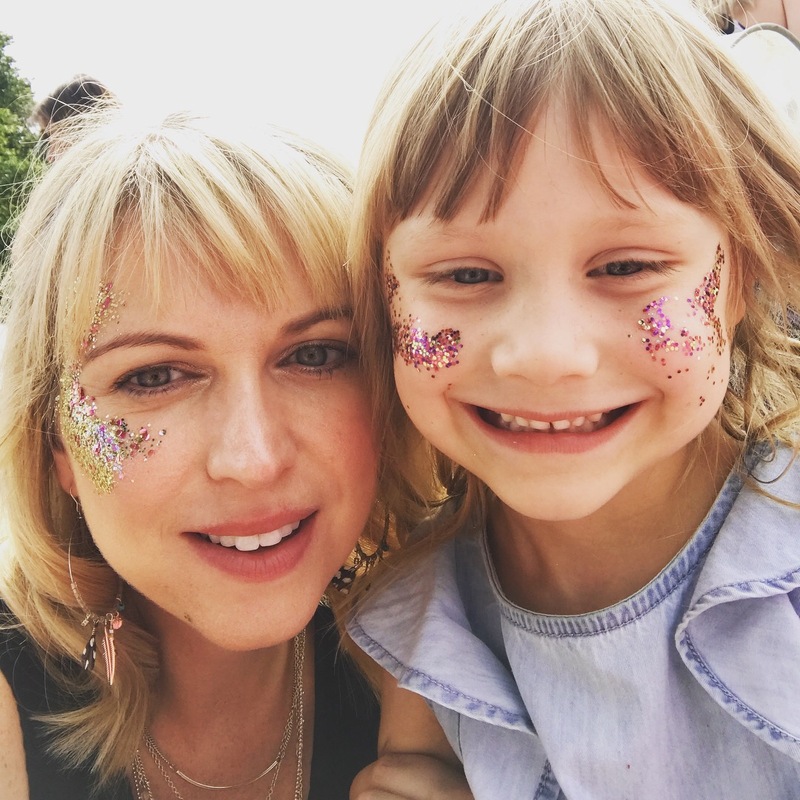 We ordered drinks – prosecco for myself and my mum as a little treat and organic juices for the kids. 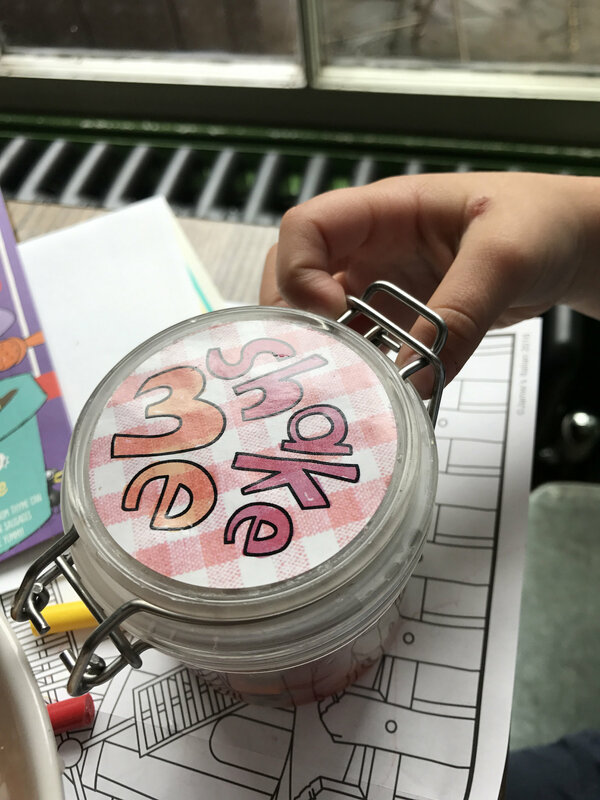 Kids’ drinks are included in the price of their meal, which is always a bonus. 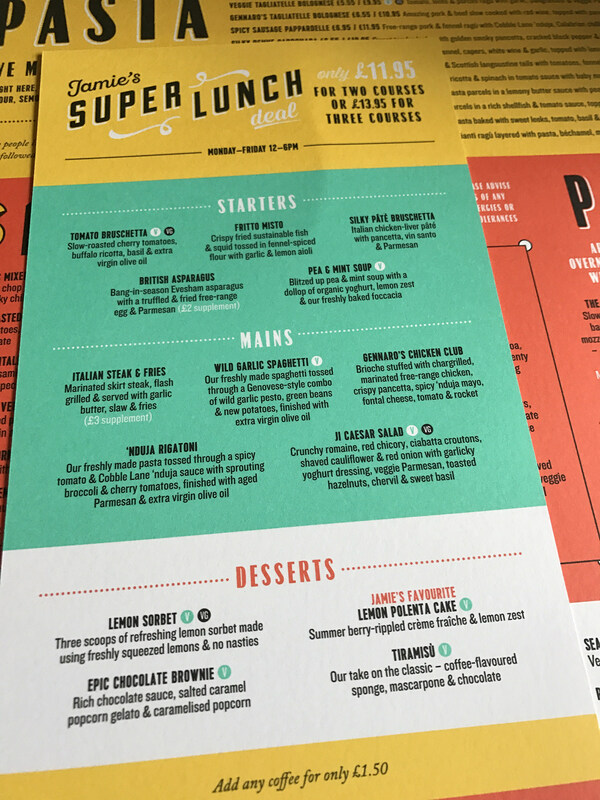 We browsed the Super Lunch menu, which had a great selection of dishes. And at £11.95 for two courses, or £13.95 for three, is really great value. We decided to test it thoroughly by having three courses! 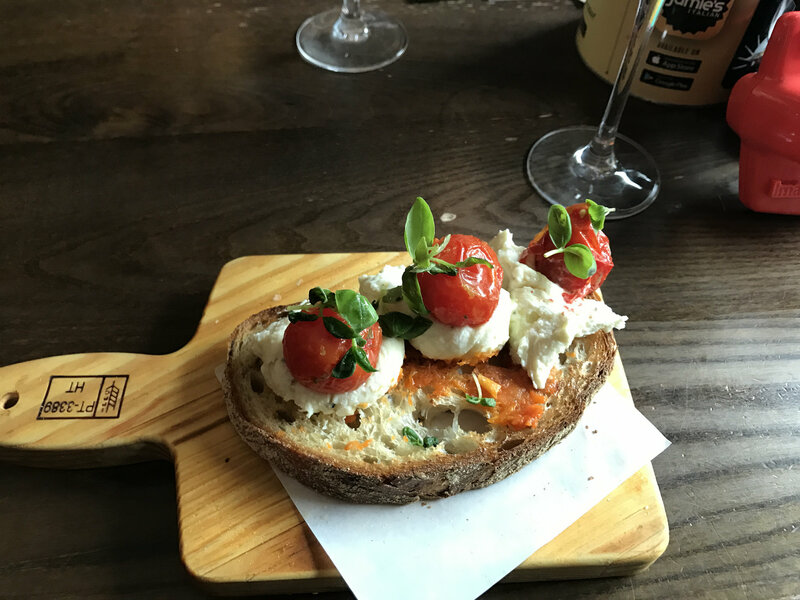 Both my Mum and I opted for the Tomato Bruschetta to start, which was delicious and quite different to bruschettas that I’ve had before as it had ricotta cheese on the bread, which was a really lovely twist. It was also quite a substantial size for a starter (definitely a positive!). 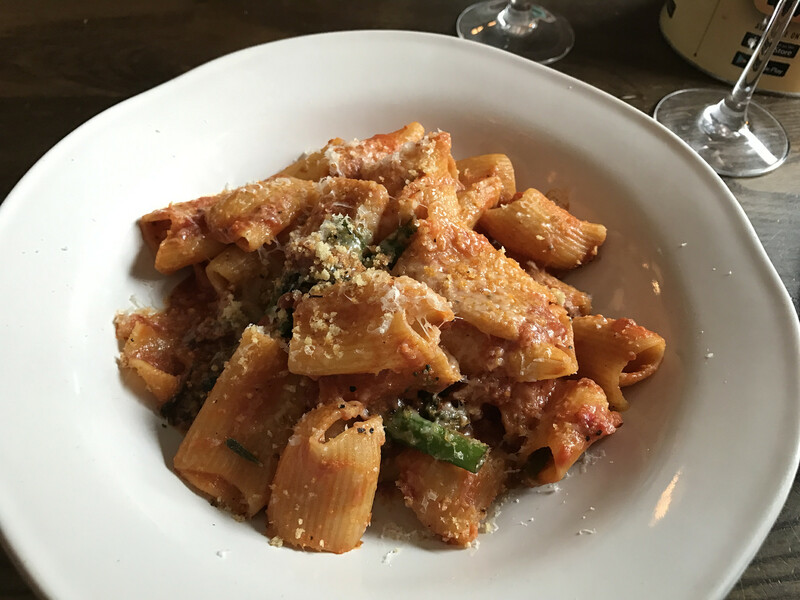 For our main courses, I chose the ‘Nduja Rigatoni, which was delicious and had a nice firey kick. 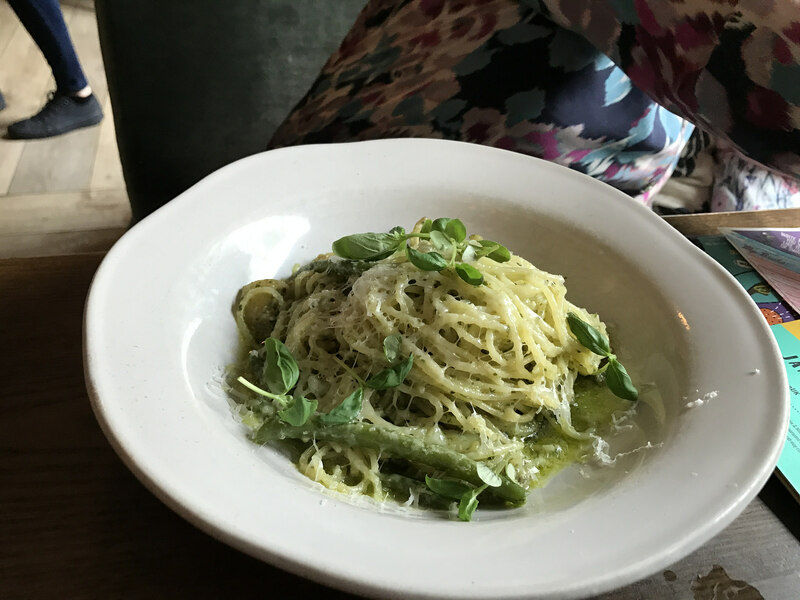 My Mum had the Wild Garlic Spaghetti, which was also really nice (I had a little sample) and as it included pesto and green beans, had a lovely summery flavour. Both dishes were again really good size. 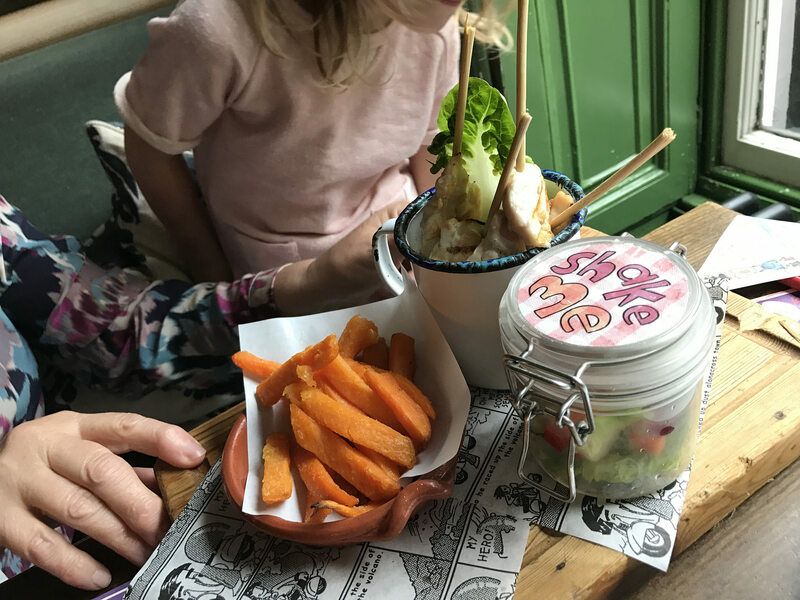 Heidi had the Happy Chicken Lollipops with sweet potato fries and a ‘Shake Me’ salad, whilst Henry had the Organic Mini Spaghetti and Meatballs, which also came with a ‘Shake Me’ salad. 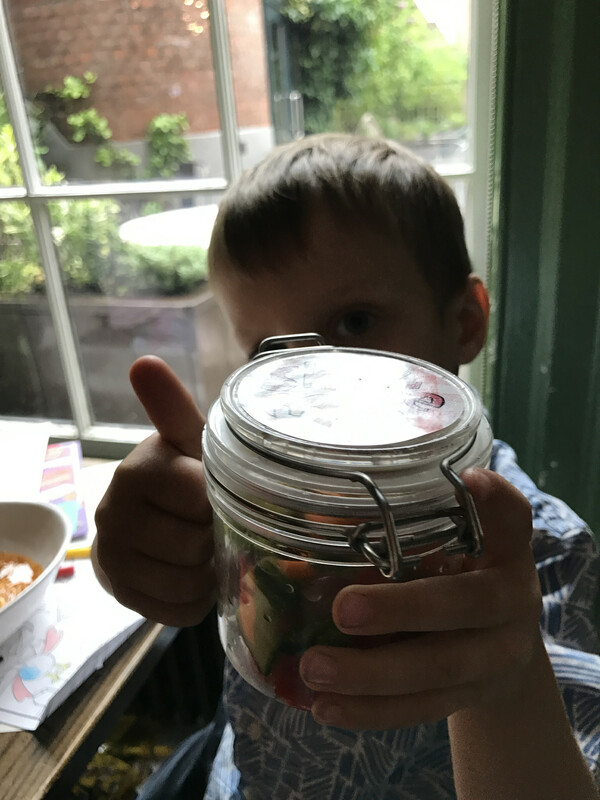 The salads came in little plastic containers, which the twins loved. They actually both ate most of it and I know that if this had been just served on to the plate then that wouldn’t have been the case, so top marks for creativity. 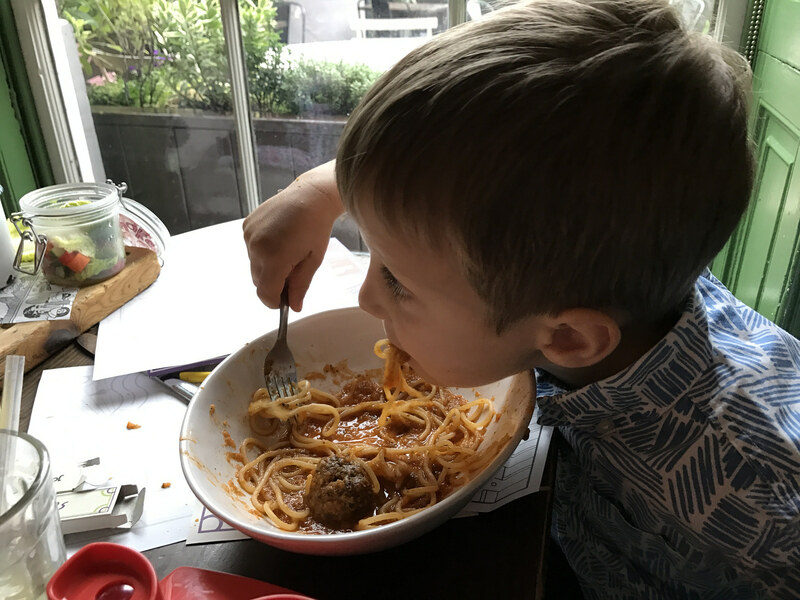 Both of them loved their meals, although, after a bit of swapping, both agreed that the Spaghetti and Meatballs were the best! 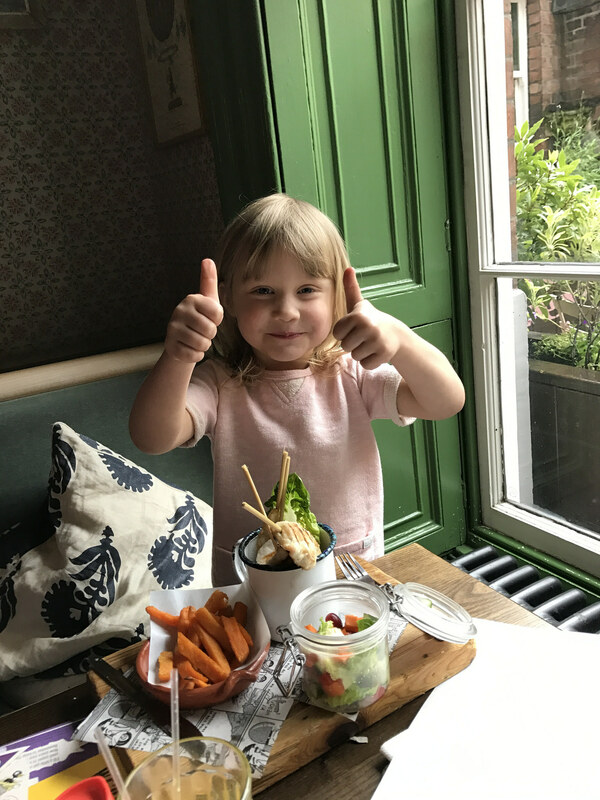 With Heidi commenting “Next time we come I’m definitely having that!” Super cute! At £6.50 for a main meal and a drink, it is at the more expensive end, but the portion sizes and the quality of the food make it worth the cost. In fact, I don’t think the twins have ever been quite so passionate about a meal! Although we were pretty fully after a starter and a main, we couldn’t resist the dessert menu. I opted for the Lemon Polenta Cake, whilst my Mum and the twins went for the Epic Chocolate Brownie. My Mum and I had decided to share, so that we both got a taste of each. When they arrived we devoured them pretty quickly. Both were lovely, although the Lemon Polenta Cake seemed to be the favourite, with the twins tucking in too. 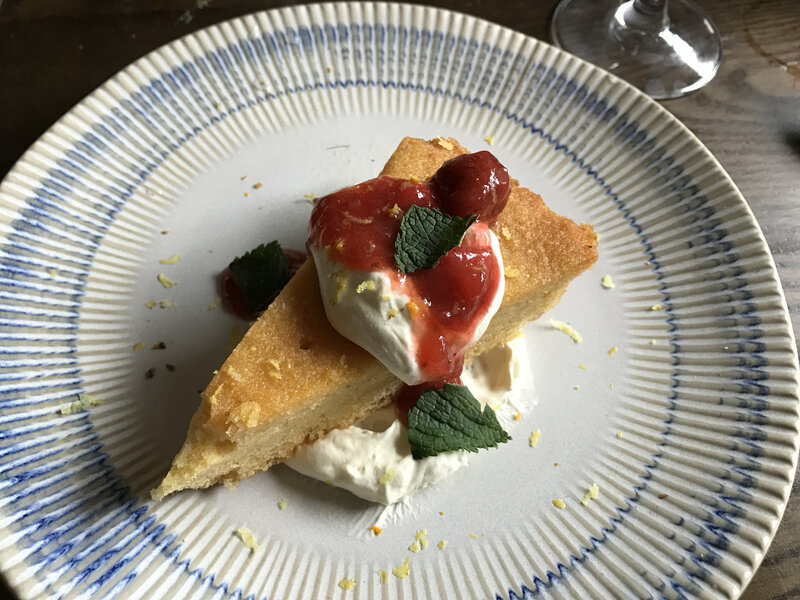 It was delicious – the delicate lemon flavour with the creme fraiche and berries was divine and perfect for summer. Again both ours and the twin’s desserts were a good size. Overall we were really impressed with the food. The restaurant was very busy as it was a Friday lunchtime, but the service was good and I didn’t feel out of place by having the twins with me. In fact, they loved it and I’ll definitely take them again. It was so lovely to see them get so passionate and excited about the food. Definitely, a place for the whole family to enjoy. 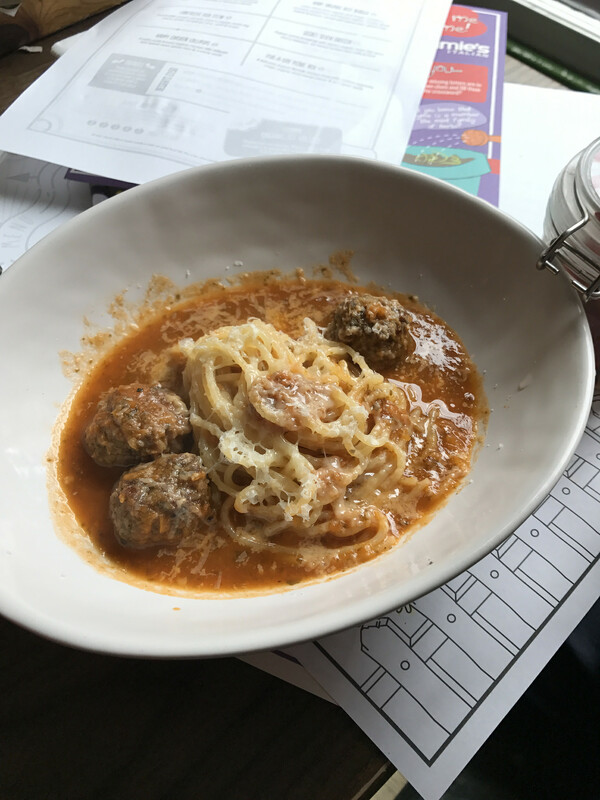 Although we were invited to review this restaurant, these are my honest thoughts and opinions.